Keep up to date with all the details on upcoming conferences including theme, prayer directives, and more. Thanks for being connected! 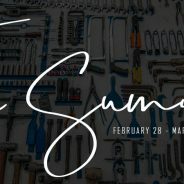 Spring Summit 2018 Available for Download! Posted by spark2flame on Apr 3, 2018 in Conference News, downloads, General News | Comments Off on Spring Summit 2018 Available for Download! Posted by spark2flame on Feb 26, 2018 in Announcements, Conference News, General News | Comments Off on Summit Conference this week! 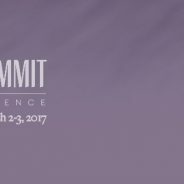 Posted by spark2flame on Feb 22, 2017 in Announcements, Conference News, General News | Comments Off on Summit Conference Next Week! Fall Summit 2016 Coming Soon! Posted by spark2flame on Sep 15, 2016 in Conference News, General News | Comments Off on Fall Summit 2016 Coming Soon! Big Schedule Changes for Upcoming Fall Summit! Posted by spark2flame on Jul 8, 2015 in Announcements, Conference News, General News | Comments Off on Big Schedule Changes for Upcoming Fall Summit! Posted by spark2flame on Feb 28, 2015 in Conference News, General News | Comments Off on Spring Summit this week!